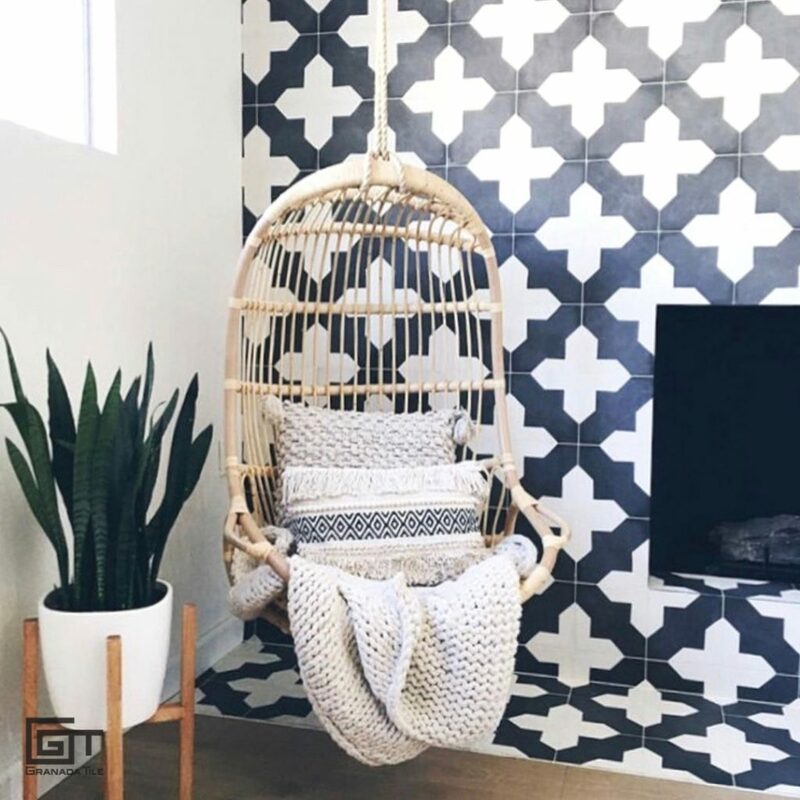 You can achieve an unmatched artistic expression for backsplashes, floors, and walls by creating your dream encaustic cement tiles. 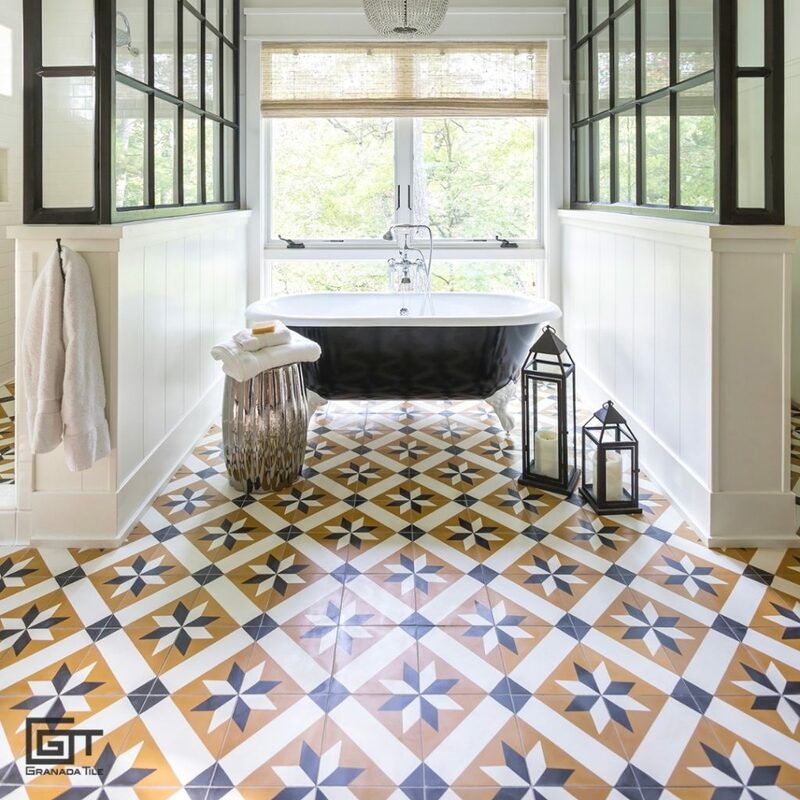 True custom tile means more than simply picking a color or picking a pattern. We want you to dream it up exactly the way you want it. 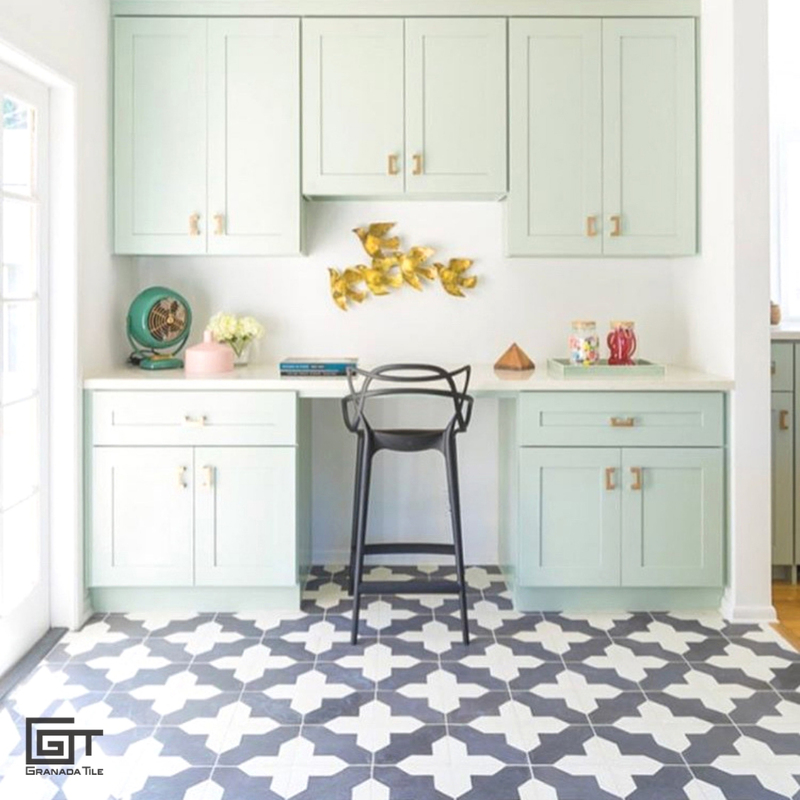 Encaustic cement tiles have numerous practical purposes, but what they’re best known for is the beauty and variability they offer to those seeking something special and unique. Customizing your cement tile patterns lends a thoughtful and artistic touch to any area of the home, and we’ve got the ultimate guide on how to do it. Maybe it is the interesting shape and angles created by a tree branch that stills your soul. Inspiration might come from the gentle waves of the ocean at dusk or a simple flock overhead. The first step should be to close your eyes and feel the sensation that a pattern creates in your heart. Then, browse our collections for inspiration or you can cut out photos or sketch out the design yourself. 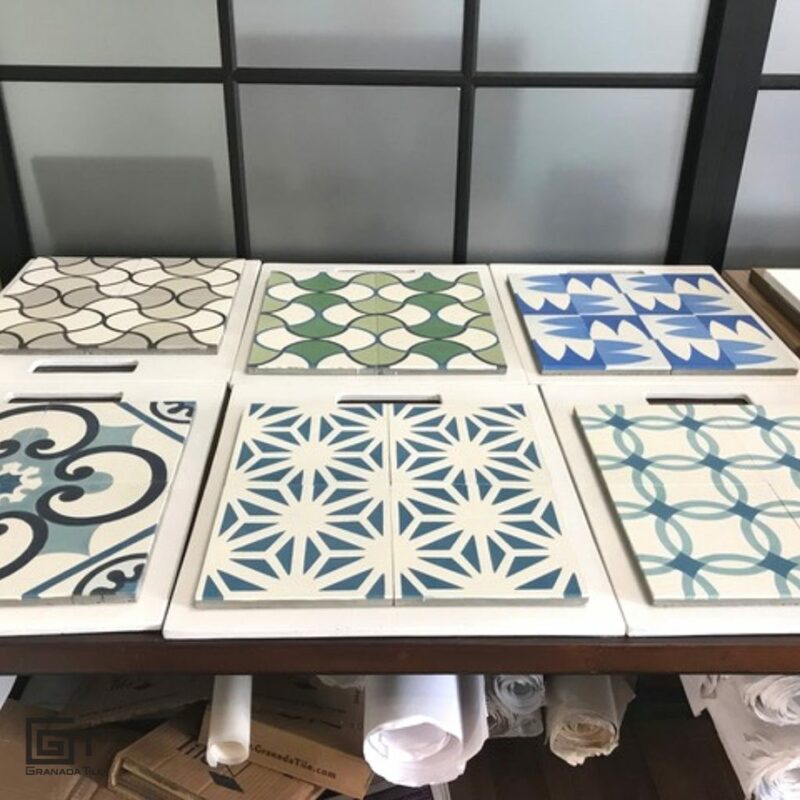 There are a few constraints for designing a cement tile. The areas have to be at least 1/8” wide, so thin points may not always show up. Contact us if you have any questions. Fig. 1 Custom tiles from Granada Tile. Photo by an architectural firm in Conservatorio, Panama. Fig. 2 Justina Blakeney envisioned peaceful egrets in flight. Photo by Justina Blakeney. 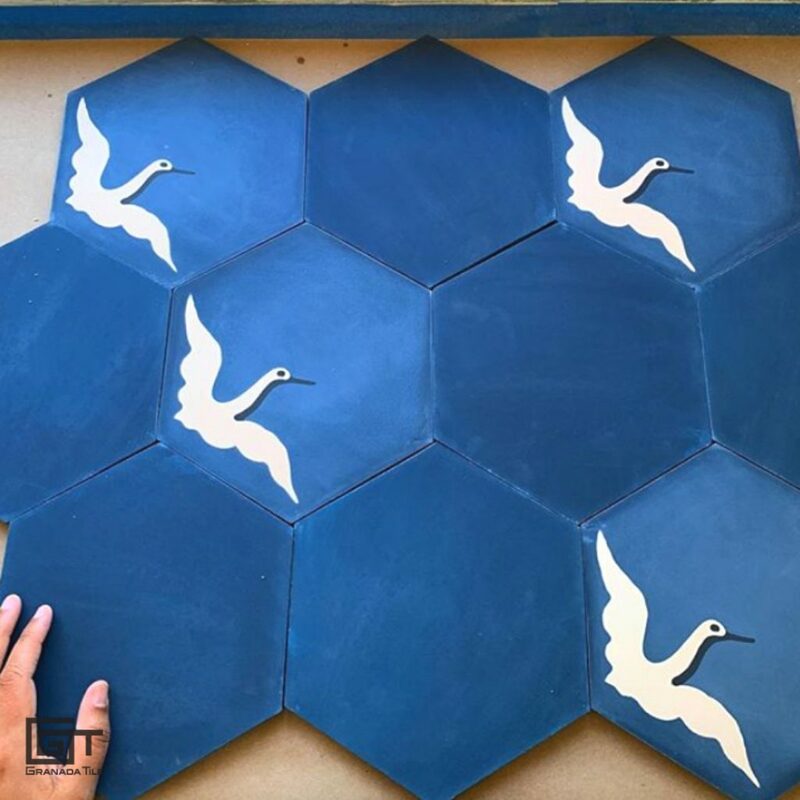 The next step in customizing your cement tile is to realize that the sky’s the limit. 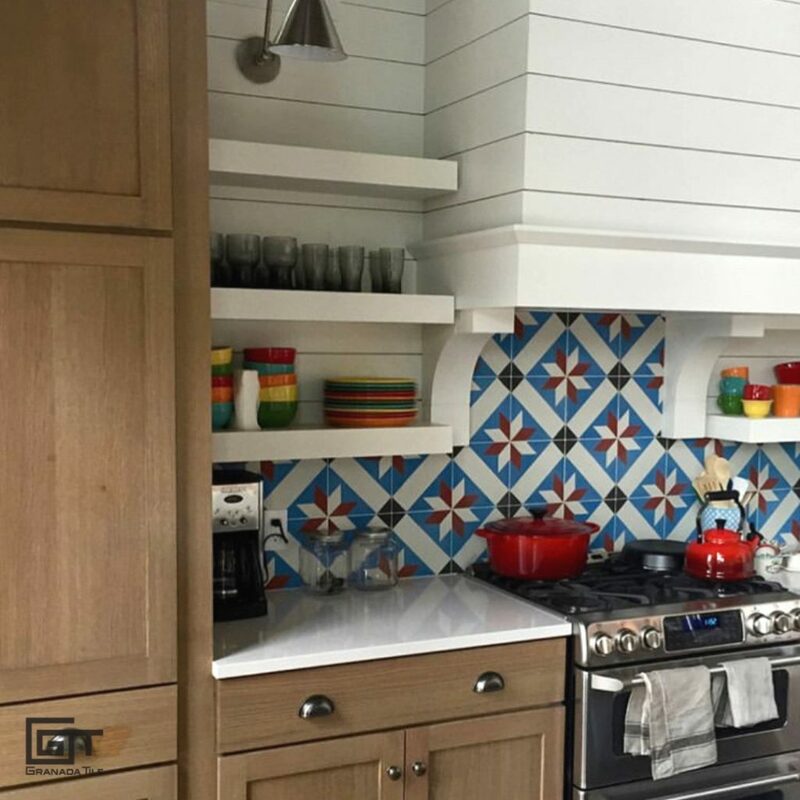 Do you want your tile to blend in or stand out with your project’s color scheme? Colors, shapes, and patterns are all customizable, so you can opt for any combination you would like. Your color is yours to choose. Samples of your custom design can be sent to you, so you are completely confident before you order your custom tiles. Fig. 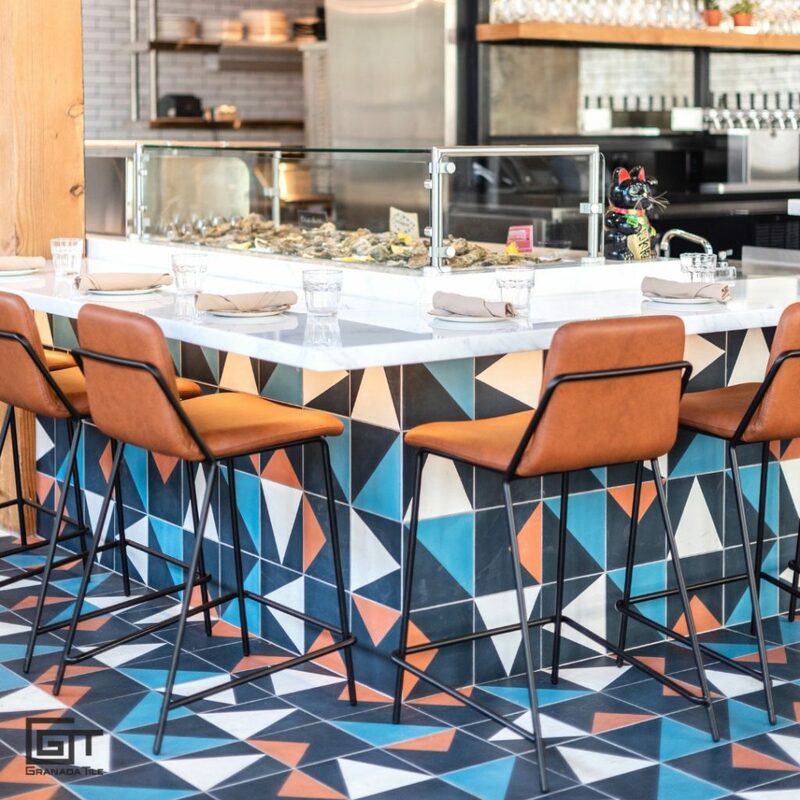 1 Rappahannock Oyster Bar (Los Angeles) enhanced by our Khufu and Luxor cement tiles. Fig. 2 A patio covered with Granada Tile’s Luxor cement tiles. Put your beautiful creations in alternate locations to expand your vision to different rooms. 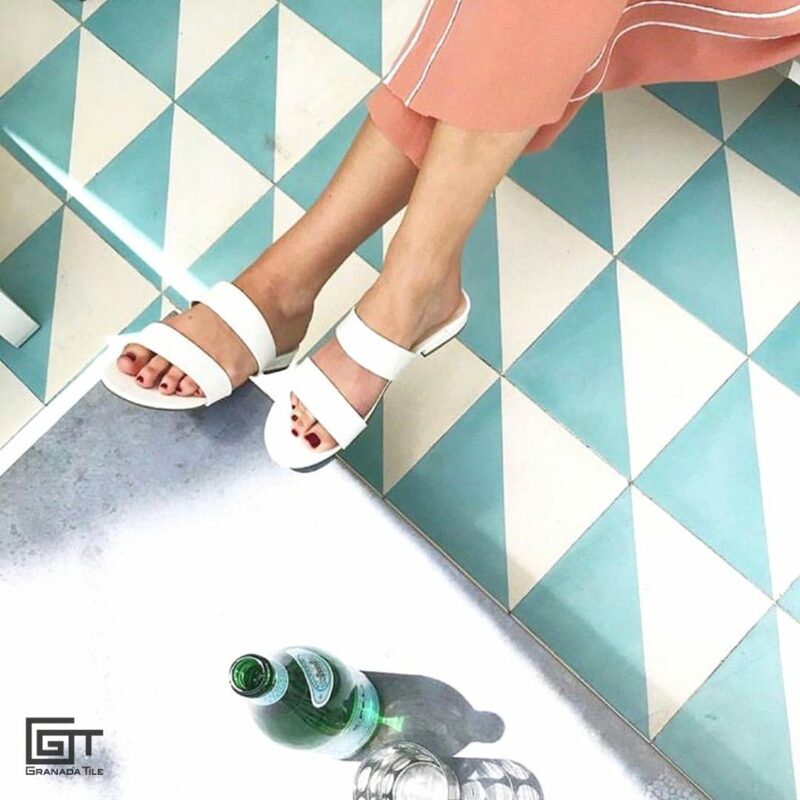 A coffee shop or a café becomes a destination of choice when the tile décor is as inviting as the food. If your design works in a home’s kitchen, it will work beautifully in the bathroom too. You can give the color a little adjustment or use an entirely different palette to work in the other room. Make your choice a wonderful surprise for guests. Fig. 2 An office nook designed by Caitlin Murray of Black Lacquer Design. Why choose one color scheme when you don’t have too? 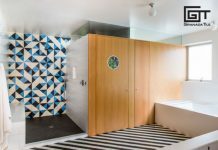 If you love your custom pattern, having it in different color palettes for different areas is a great way to punch up a space. Imagine your custom pattern in blues and greens in one area with a complimentary red and orange section nearby. Fig. 1 A dramatic designer bathroom with Granada Tile’s Toscano pattern, designed by J Kurtz Design. Fig. 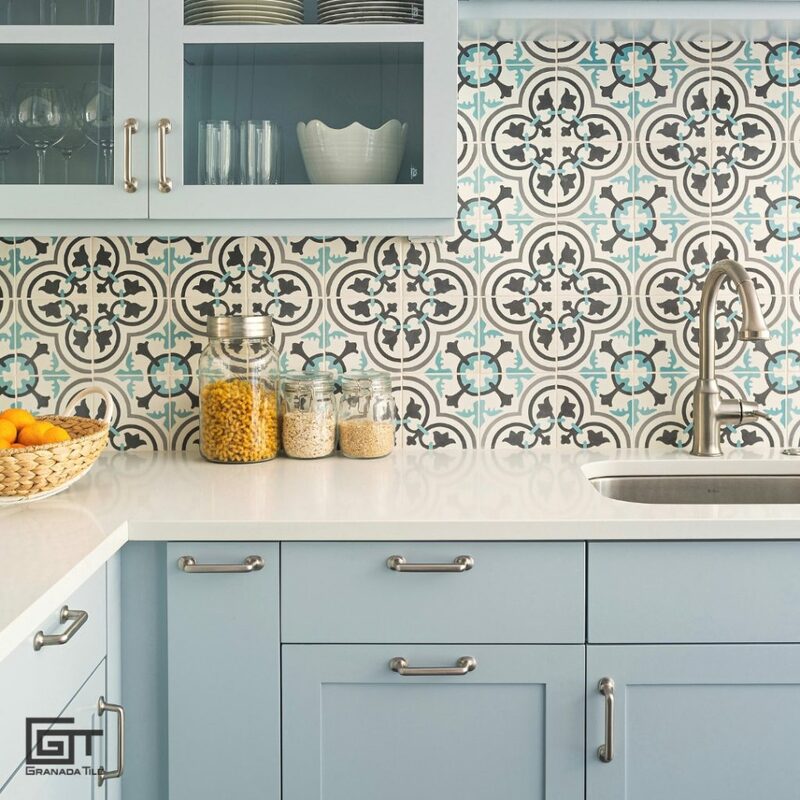 2 A kitchen backsplash with Granada Tile’s Toscano pattern. You have such an active imagination, why not envision your tiles used in creative ways? Create an art piece on the kitchen backsplash. 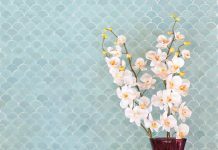 Create a visual divider from one room to the next by placing your new tiles from floor to ceiling between rooms. Or create a tile rug on the floors by surrounding your custom tiles with some of our other cement tiles. There are no rules to hold you back from maximum dreaminess! The options are endless, and if you have any questions you can always call us at (213) 788-4238 or sales@GranadaTile.com to find out more! Fig. 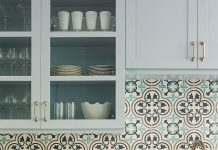 1 Cluny Cement Tile highlights the cabinetry in a pale blue kitchen. Designer: inHabit Architecture & Design. Fig. 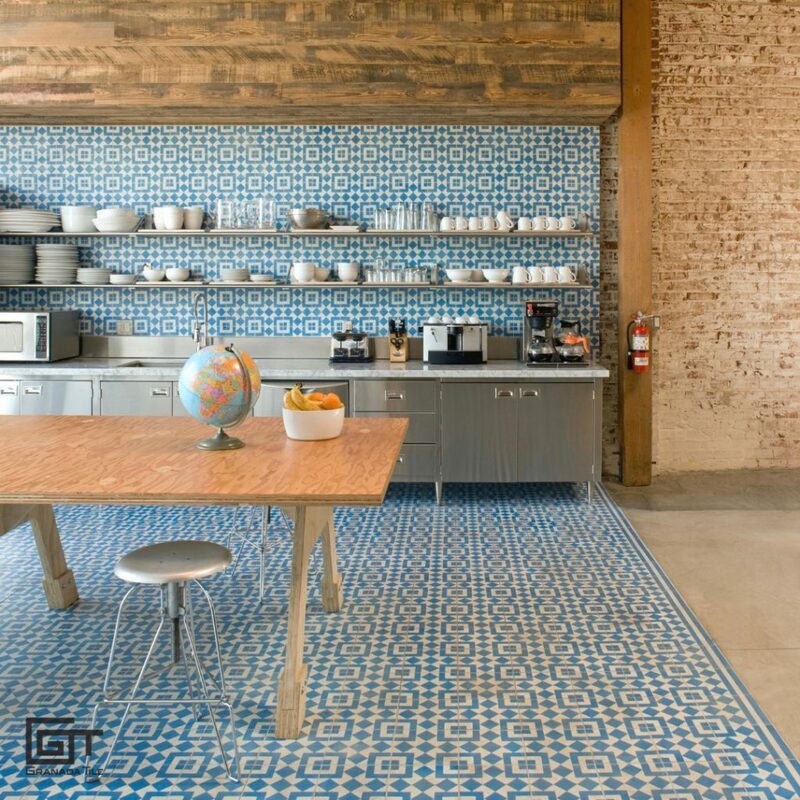 2 Granada Tile Company’s Fez Design in Blue and White in Studio Kitchen and Dining Room. Designer: Shubin + Donaldson Architects.